Alleviating Stress Headaches – We May Be Able to Help! 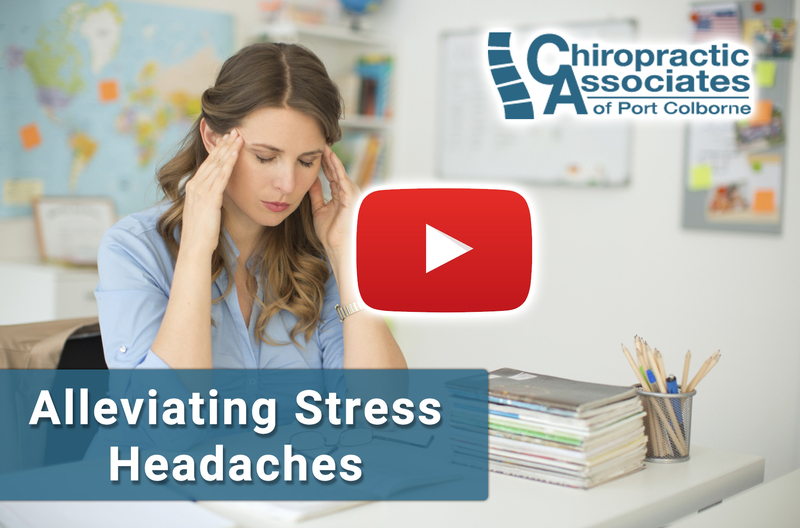 There are three types of stress that maybe contributing to your headaches that often see at our practice; they are physical, mental and chemical stress. You are probably familiar with physical and mental stress but chemical stress might be somewhat new to you. In today’s environment we are constantly assaulted with chemicals. Drugs, preservatives, tobacco, alcohol, pollen and a host of other substances that can affect our nervous system and muscle tone. Whatever stress or combination of stresses you suffer from, they may be having a significant impact in your life and contributing to the strength and frequency of your headaches. Chiropractic Associates of Port Colborne may be your answer. Please contact our office at 888-658-5192 to schedule a no obligation, complimentary consultation to see if we can help.